"Stunning Jasmine Residence! Home away heaven. Beautifully appointed with all the amenities one could want." The residence was beautifully-appointed on the inside. Better than what we remember the inside of the Inspirato residence we stayed in at Montage Kapalua in Fall 2014. Also the view was beautiful, which was the main relative deficiency of the Inspirato residences there. Would consider staying there again! "Outstanding facility, very pleased with our lodging! 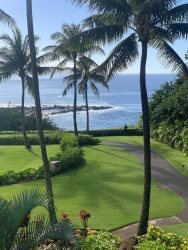 Our stay at Kapalua Villa was more than memorable. Our condominium unit was outstanding, complete with beautiful furnishings, modern kitchen, beautifully furnished (large) patio and all accompanied by a breathtaking view. The premises are exceptionally landscaped with beautiful multiple connecting swimming pools and complete with a sand beach. Again outstanding!" “We loved the unit and the location." King Protea Residence, March 2018. “We enjoyed our stay immensely and will not hesitate to stay there again. The on site Manager was excellent. She attended to all our needs. The residence was beautiful and even better than the pictures. The resort was gorgeous and well run. The staff was courteous and prompt. The food at the restaurant was very good and my children really enjoyed going to the Spa/Store and getting açai bowls for breakfast." “The Villa was perfect for our family. Gorgeous view and huge kitchen and living room. Nice location next to the pools. perfect." Mexico is a country between the U.S. and Central America that's known for its Pacific and Gulf of Mexico beaches and its diverse landscape of mountains, deserts and jungles. Ancient ruins such as Teotihuacn and the Mayan city of Chichn Itz are scattered throughout the country, as are Spanish colonial-era towns. In capital Mexico City, upscale shops, renowned museums and gourmet restaurants cater to modern life. Acapulco, a beach resort town on Mexico's Pacific coast, is set on a large bay backed by high-rises and the Sierra Madre del Sur mountains. Made famous by the jet set in the 1950s and 60s, it's known for its high-energy nightlife, beaches and golf. From its iconic La Quebrada cliff, professional divers plunge 40m into a small ocean cove every day and night. Cabo San Lucas, a resort city on the southern tip of Mexicos Baja California peninsula, is known for its beaches, water-based activities and nightlife. Playa El Mdano is Cabos main beach, with outdoor restaurants and numerous bars. Past the marina is Land's End promontory, site of Playa del Amor (Lover's Beach) and El Arco, a natural archway in the sea cliffs. Los Cabos is a municipality located at the southern tip of Mexico's Baja California Peninsula, in the state of Baja California Sur. Manzanillo is a Pacific Ocean port city and resort in the Mexican state of Colima. It's the site of 2 bays, Baha de Manzanillo and Baha de Santiago. The latter is known for beaches such as Playa La Audiencia, with calm surf for water sports. The waters off the coast have numerous coral reefs, shipwrecks and other dive sites. With a high concentration of marlin, the area is also known for deep-sea sportfishing. Puerto Vallarta is a resort town on Mexicos Pacific coast, in Jalisco state. It is known for its beaches, water sports and nightlife scene. Its cobblestone center is home to the ornate Nuestra Seora de Guadalupe church, boutique shops and a range of restaurants and bars. El Malecn is a beachside promenade with contemporary sculptures, as well as bars, lounges and nightclubs. Punta Mita is a fishing village and luxury resort on Mexicos Pacific coast. It sits on a small peninsula on Banderas Bay. Its known for upscale homes, golf courses and private beaches. The public El Anclote Beach, backed by restaurants, has gentle surf. Offshore are the biodiverse Marieta Islands, with wildlife such as humpback whales and blue-footed boobies. To the north is the laid-back surf village of Sayulita. The Riviera Maya is a stretch of Caribbean coastline on Mexicos northeastern Yucatn Peninsula. It's known for its numerous all-inclusive resorts, such as those in the town of Playa del Carmen, and its long beaches. To the south, Tulum is home to yoga retreats and the preserved ruins of an ancient Mayan port city, perched on an outcrop above a white-sand beach.